The love triangle involving Chad (Billy Flynn), Ben (Robert Scott Wilson) and Abigail (Kate Mansi) will really start to heat up. “Days of Our Lives” spoilers tease that Abigail will drift from Ben and eventually make love with Chad. You’d think Chad would be ecstatic, but it seems Stefano’s (Joseph Mascolo) secret plan could derail Chad’s hopes for a future with Abigail. Chad will try to keep Abigail at a distance in an effort to protect her. Another Salemite will be torn between giving into his feelings and doing the right thing. Rafe (Galen Gering) will soon fall for Hope (Kristian Alfonso), but he may wrestle with what do to next. Hope and Aiden (Daniel Cosgrove) have had a few rough patches here and there, but they still appear to be in love. Will Rafe confess his feelings to Hope and risk ruining their friendship? Stick with “Days of Our Lives” to see if Rafe’s love life will get some updates. Other “Days of Our Lives” spoilers indicate that Justin (Wally Kurth) will fight to win back his wife, but Adrienne (Judi Evans) will focus on her budding romance with Lucas (Bryan Dattilo). John (Drake Hogestyn) and Marlena (Deidre Hall) will solidify as a couple while Will (Guy Wilson) and Sonny’s (Freddie Smith) marriage will continue to deteriorate. Plus, Theresa (Jen Lilley) will try to get closer to Brady (Eric Martsolf) as they navigate parenthood at the Kiriakis mansion. All that and more is coming up this summer on the NBC soap. 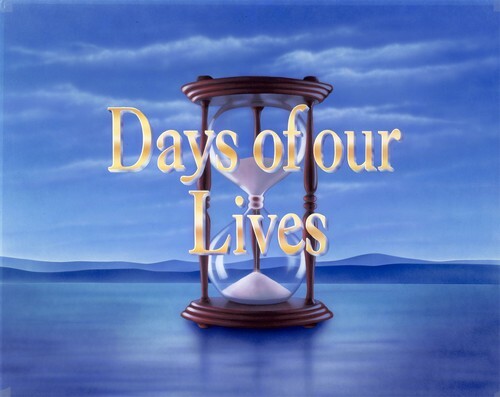 So “Days” fans, what do you think about the way things are shaping up on DOOL this summer? Which storylines do you feel will really sizzle in the coming months? Let us know what you think in the comments below and don’t forget to check CDL tomorrow for the latest “Days of Our Lives” spoilers, rumors, updates and news. ‘Days of Our Lives’ Spoilers: Kristen DiMera Returns With Brady’s Baby – Needs Theresa’s Help To Save Child’s Life?